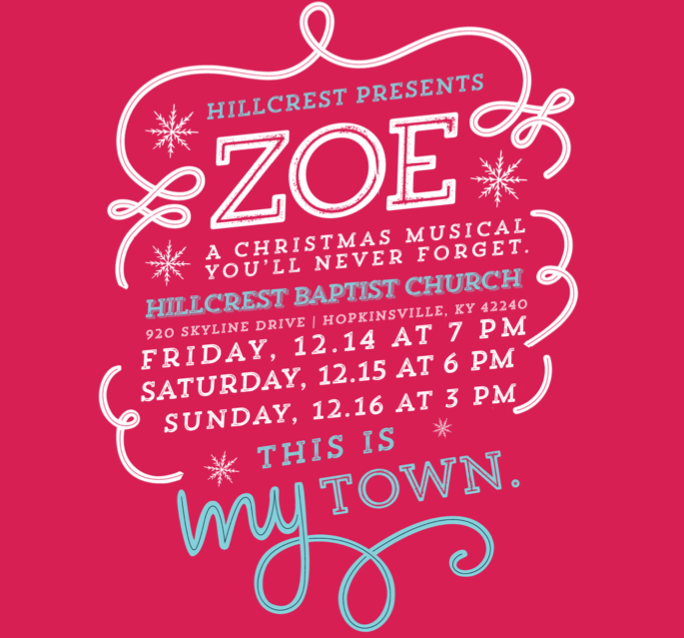 Hillcrest Baptist Church presents Zoe: A Christmas Musical you’ll never forget! The performances will be held on Friday December 14th at 7:00 p.m., Saturday December 15th at 6:00 p.m., and Sunday December 16th at 3:00 p.m. at 920 Skyline Dr. in Hopkinsville. See you there!